TAMPA, Fla./NELSON MANDELA BAY, South Africa (Aug. 9, 2018) – Triathlon’s top talent will come together in Nelson Mandela Bay, South Africa for the 2018 Isuzu IRONMAN® 70.3® World Championship on September 1 and 2. Boasting one of the most competitive professional fields in the sport, the event will make history when the IRONMAN 70.3 World Championship takes place in Africa for the first time. For more information about the IRONMAN 70.3 World Championship, please visit www.ironman.com/triathlon/events/americas/ironman-70.3/world-championship.aspx. For more information on the IRONMAN and IRONMAN 70.3 brands and global event series, visitwww.ironman.com. Media may contact press@ironman.com. In 2006 the inaugural IRONMAN® 70.3® World Championship was held in Clearwater, Florida becoming another test for the world’s elite triathletes. Since that auspicious beginning, the IRONMAN 70.3 World Championship has grown in stature and popularity moving first to Henderson, Nevada in 2011, where athletes encountered a more challenging terrain and then to Mont-Tremblant, Quebec—its first stop on the new "global rotation" for the championship. The event reached European soil for the first time ever in 2015, with Zell am See, Austria, hosting an epic and memorable event. In 2016, the race moved from the mountains to the beaches of the Sunshine Coast in Queensland, Australia. In 2017, the race returned to North American making it way to Chattanooga, Tennessee and marked the first time that the event would take place over two days. This year marks the first time the event will be held on the African continent, taking place in Nelson Mandela Bay, South Africa and for the second year will be a two-day race. More than 190,000 athletes participated in a season of qualifying races for the championship, a series which consists of over 100 events in locations such as Australia, Brazil, China, Germany, South Africa and Switzerland. Approximately 4,500 athletes from around the world are registered to compete in this prestigious race. 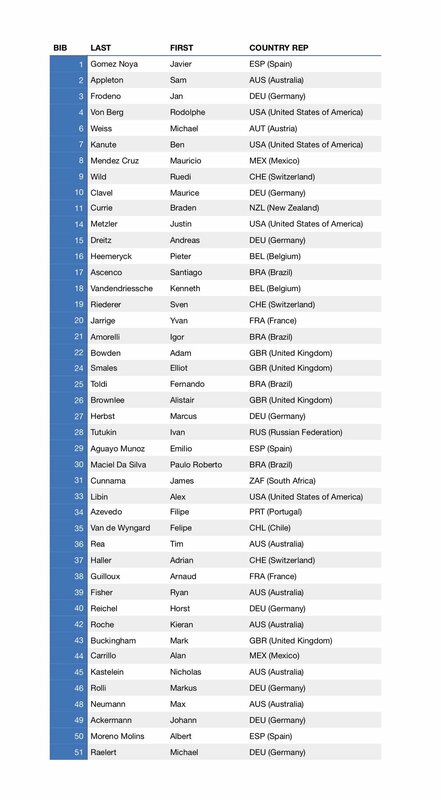 Participants in the IRONMAN 70.3 World Championship range in age from 18 to 85-plus, and represent over 90 countries, territories and regions. In 2019, the event will be hosted in Nice, France.